Seagraves Plumbing is a full service plumbing company based in Atlanta, GA that offers complete plumbing and repair service including 24 hour Atlanta emergency plumbing service. We are equipped to handle any type of plumbing job, from clogged drains to faucet repair to kitchen remodel. When you call Seagraves Plumbing, you can be sure that our licensed plumbers will listen to your needs and make the best possible recommendation for your plumbing need(s). If you need a Smyrna plumber, its good to know that Seagraves serves the entire Atlanta metrobolitan area. 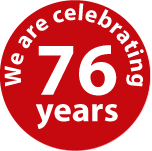 We are proud of the reputation we have built serving Atlanta's plumbing needs for the past 76 years. Much of our business comes from word of mouth and referrals. We treat each client as we would want to be treated and the level of service that we provide to our clients keeps them coming back to us year after year. If you need reliable plumbing services, give us a call today. You will be glad you chose Seagraves Plumbing. Our plumbing company has served clients in Atlanta, Smyrna, Dunwoody, Sandy Springs, Buckhead and the surrounding areas for years and we take great pride in our reputation. We handle the smallest plumbing repairs to the most complex plumbing problems and we get the job done right the first time. We look forward to helping solve your plumbing problem quickly and we will exceed your expectations every time we meet. If you are looking for a well established licensed plumbing expert that will listen to your needs, our expert licensed plumbers. Please call or contact our Plumbing Services Company today to schedule your appointment. You will be glad you called and we hope you refer us to your friends and family!